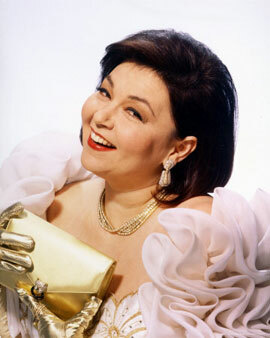 Roseanne Barr was born in Salt Lake City, Utah. During her teenage years, she worked as a dishwasher at a local restaurant. She married Bill Pentland and they had three children together. They remained married for sixteen years, until Roseanne found her place as a comedian. She worked doing standup comedy until her appearance in 1985 on "The Tonight Show Starring Johnny Carson" thrust her into the limelight. In 1987, HBO offered her a show of her own, On Location: The Roseanne Barr Show. It was canceled after a short time. In 1989, Roseanne starred opposite Meryl Streep and Ed Begley, Jr. in "She-Devil." Though her first picture wasn't as successful as she might have hoped, her sitcom, "Roseanne" (1988), ran for nine seasons on ABC. During the show, Roseanne fell in love with fellow cast member Tom Arnold and divorced her husband Bill after nearly 20 years of marriage in order to marry Arnold. After four years, Roseanne and Arnold divorced. Ratings on her TV show were also down. On Valentine's Day 1995, Roseanne married former bodyguard Ben Thomas. The marriage lasted until 2002. In 1996, she was nominated for a Golden Globe Award and won, but she was not there to accept it. After "Roseanne" (1988) was canceled, she went on Broadway to play The Wicked Witch of the West in The Wizard of Oz to rave reviews. You may marry the man of your dreams, but fifteen years later you're married to a reclining chair that burps. My children love me. I'm like the mother they never had.